It’s a good indicator of how popular a night out at Eden Court is when an evening launching the new-season brochure can attract almost a full house. Being among the first to hear what’s on offer can pay off handsomely, as many of the shows, some of them returning due to popular demand, are tipped to sell out fast. Big hitters for this season include a Viennese Night with The Royal Scottish National Orchestra, Michael Jackson’s Thriller Live, Sunset Song, an International Ocean film festival, a night with snooker legends Jimmy White and Stephen Hendry and an evening with world-class photographer Colin Prior. Chief executive Colin Marr said that, among the offerings, there were two distinctive themes reflecting World War I and the Scottish Referendum. One of the biggest of these is A Century Untold, a huge production presented by the Eden Court Collective, a company of 16-25-year-olds from Eden Court Creative Youth Theatres based across the Highlands. Since May of this year, the youngsters have been working closely with the Highlanders’ Museum to research stories of their own relatives, along with local stories from the wars from the last 100 years which have remained mostly hidden to history. This outdoor production will be based on these collected tales and presented in the atmospheric setting of Fort George in September. Those who like a laugh or two will be spoiled for choice, as there’s a host of well-known comics heading north. Headliners include Danny Bhoy, Ross Noble, blind comedian Jamie MacDonald, Daniel Sloss, Des McLean, Jo Caulfield and Michael Palin. The Gilded Balloon Comedy Circuit, producer of the Happyness Inverness Comedy Festival, is back and, in a change to proceedings, will stage their shows in The MacLean Room. It will be fitted out with a bar, which will create an atmosphere more akin to a comedy club, one where you can see at least three up and coming comedians a night – possibly just before they hit the big time. The dance programme features a mixture of traditional and cutting-edge shows. 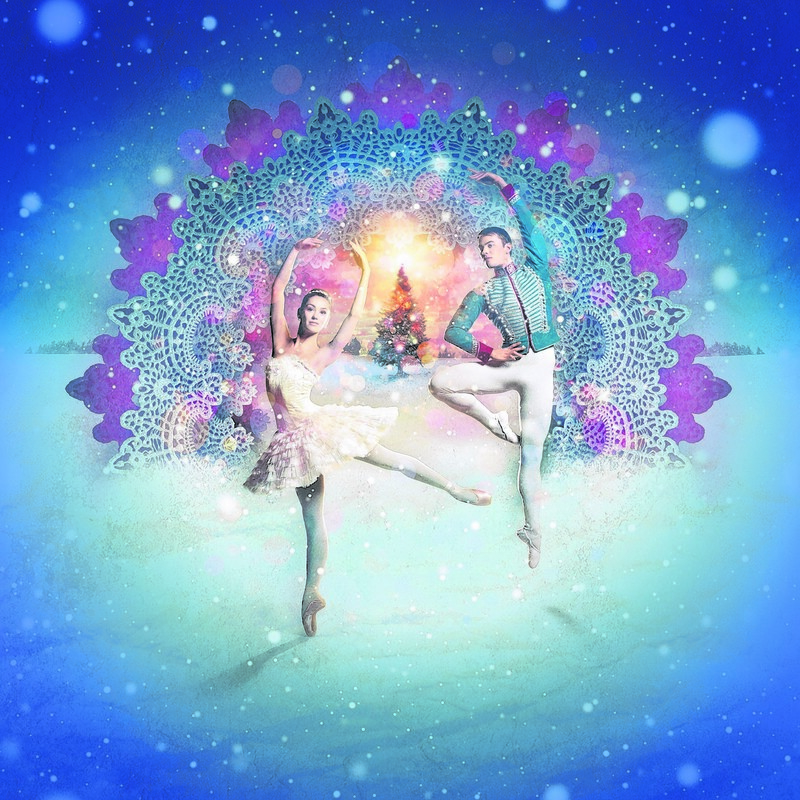 Scottish Ballet presents a re-imagining of Peter Darrell’s magical version of The Nutcracker, an interpretation that hasn’t been seen here for more than a decade and which features layers of plush Victoriana and traditional festive fare. With tickets for the January show expected to be in high demand, a third night has been added. Also back by popular demand is Dance Derby, a show about the dance marathons of depression-hit America which takes the audience on a rollercoaster ride of emotions. Musically, the new programme is pretty diverse, as it includes visits from Scottish Opera (Cinderella and Verdi’s Macbeth), Scottish Ensemble (Mozart & Moz-art with Alasdair Beatson and festive candlelight concerts), Scottish Chamber Orchestra (Rehnqvist Arktis, Arktis) ) and the Royal Scottish National Orchestra (Opera Gala and Viennese Night). Mr Marr said he was particularly delighted to be able to offer the Viennese Night at the Empire Theatre in January, as he’d been trying to get this concert to visit Eden Court for years. Other big hitters include the Sell a Door Theatre Company’s production of Sunset Song in October and Our Friends, The Enemy, based around the famous football match which took place on the Western Front of World War I, and The Pitiless Storm, starring Scottish actor David Hayman, which is set on the evening of Scotland’s referendum. The Royal National Mod is in Inverness this year and the majority of events will take place at the theatre, every spare inch of which will be utilised to accommodate performers. There will also be Highland music aplenty to be enjoyed during the Blas Festival (September 5-13), while there’s a chance to relive the hits of the past of 10CC, The Drifters, Sixties Gold, Buddy Holly, Johnny Cash, Abba, Guns N’ Roses and Patsy Cline, to name but a few. Filmwise, there’s everything from the latest releases to interesting selections from the programmers, but also a much bigger selection of live shows being screened directly to the theatre. Coming direct from London’s west end is Thriller Live, the spectacular concert created to celebrate Michael Jackson’s career, Billy Elliot the Musical, A Streetcar Named Desire and shows from the Royal Shakespeare Company, Royal Ballet and National Theatre. These offer Highland audiences a chance to enjoy fabulous live shows without having to make their way to London or pay top-end prices for a show ticket.